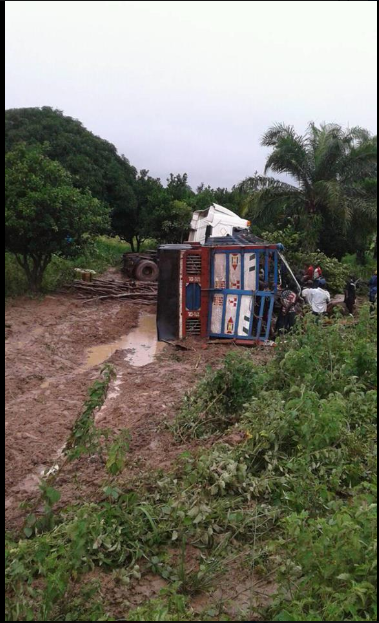 A ghastly motor accident just happened along the ever-busy Akwanga-Lafia express road in Nasarawa state. 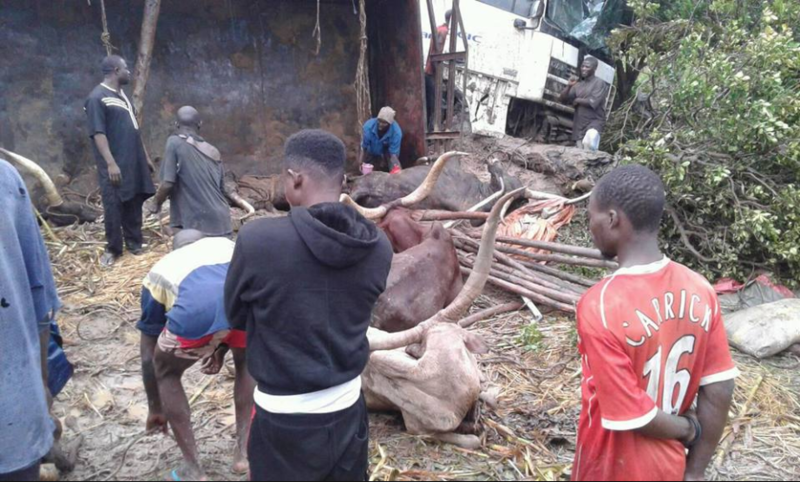 It was gathered that a trailer loaded with livestock crashed into a bush, in Wulko Community, Akun Development Area of Nasarawa State – with over 10 cows said to have died in the accident. 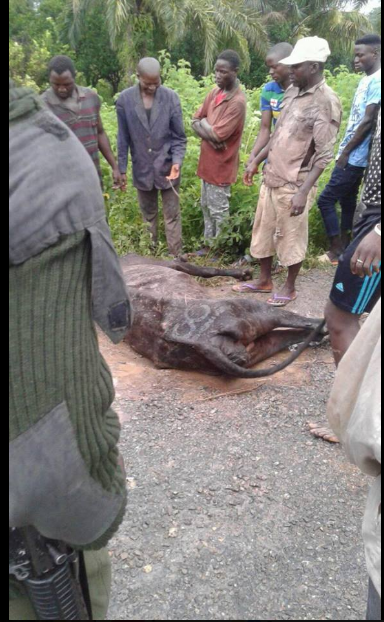 Though no human casualties were recorded, many cows perished with many more said to be seriously wounded. As at the time of filing this report, police officers were on ground to control traffic around the site of the accident. Motorists and travellers plying the highway have been advised to take caution.